13 days, 4 countries. Guaranteed departure. 16 days, 5 countries. Guaranteed departure. 10 days, 3 countries. Guaranteed departure. 19 days, 5 countries. Guaranteed departure. Hurry up! Take your 5% discount! Hurry up! Take your 6% discount! Hurry up! Take your 7% discount! We use SSL/TLS recognized support from the most established Certificate Authority in the world, (formerly from VeriSign) to keep safe your credit card details. You can pay with credit card or Paypal account to ensure the most convenient and secure payment method for You. Travelers around the world book and pay via our secure payment platform every day. You can rest assured knowing that your payments are always protected. Wondering what are the best things to do in Scandinavia? We'll take you through the top things to do in every season! [zoomtabsandaccordions skin="skin-blue" design_tabsposition="top" design_transition="default" settings_enable_linking="off" settings_is_always_accordion="on" toggle_type="accordion" settings_appendwholecontent="off" design_tabswidth="default" refresh_tab_height="0"] [dzstaa_tab][dzstaa_tab_title]COUNTRIES[/dzstaa_tab_title][dzstaa_tab_content] Norway - it is beautiful north country, famous for its white nights and extraordinary mountain terrain. The greatest impact of the Norwegian coastal climate makes the sea, which is due of the fact that the winter is warmer and in summer the weather is cooler. In the mainland the weather is different - the temperature depends on the sun, which makes the summer warmer and the winters are quite cold. Touring scandinavian countries tourists love to visit the Oslo - the capital of Norway. Sweden - is the third largest country in the European Union. For many people Sweden is associated with an active lifestyle, quality food and clean air, but Sweden does not keep up with her beauty - a few years ago this country got into the trio of the most beautiful nations of the world.. More than half of the territory of Sweden is overgrown with forests and only less than 10 percent the territory of the country consists of cultivated land. Every tourist of scandinavian countries tour must visit Sweden and enjoy its unique culture. Finland - probably every child’s dream is to visit this country and we perfectly know that is only because the beloved Santa Claus in Lapland. Finland is one of the northernmost countries in the world, and even a quarter of the country’s territory is located beyond the northern polar region. The Finland countryside is adorned with many lakes, rivers and swamps - in this country they are mostly located not only in Scandinavia countries but also around the world. Denmark - is the smallest and southernmost of the Scandinavian countries and it owns the world’s largest island - Greenland. Tourists in Denmark love holiday homes and camping grounds. The bicycle is an integral part of the Danish symbol without which no one imagines this country. Danish residents are also called the happiest people in the world, despite the high fees and costs. Touring Scandinavian countries many tourists come to Denmark with the purpose of visiting Legoland, in which you will experience unforgettable moments of childhood. [/dzstaa_tab_content][/dzstaa_tab] [dzstaa_tab][dzstaa_tab_title]CAPITALS[/dzstaa_tab_title][dzstaa_tab_content] Oslo - is the capital of Norway, which is characterized by the coziness, regularity and the city guests are delighted with the great selection of parks. Oslo is the oldest Scandinavian country capital, located on the shore of the Oslo fjord - the narrow and deep bay on steep margins. Although Oslo is one of the smallest capital in Europe, it is quite popular among tourists for its beautiful nature and many tourists attractions. Stockholm - is the capital of Sweden which is best known as a large seaport. The entire town consists of 14 islands, connected by 57 bridges even. Tourists are attracted by the city in many places, some of them are free of charge Helsinki - is the one of the best cities to visit in scandinavia during your vacation. In the capital of Finland is located the largest and most important museum in the country - the National Museum of Finland. Here you can find exhibits that are protected from prehistoric times to the present day. The small distances in the center of Helsinki let you discover the most impressive places you can find by walking. The tourists are fascinated not only modernity but also simplicity, beautiful nature and cozy city bustle Copenhagen - is the one of the oldest capital and royal city in Europe. The modern capital of Denmark attracts tourists with a wealth of fabulous castles, narrow Old Town streets and beaches. Copenhagen is Hans Christian Andersen birthplace - one of the most famous writers of the world, who inspired to create the most popular symbol of the city - the Little Mermaid. 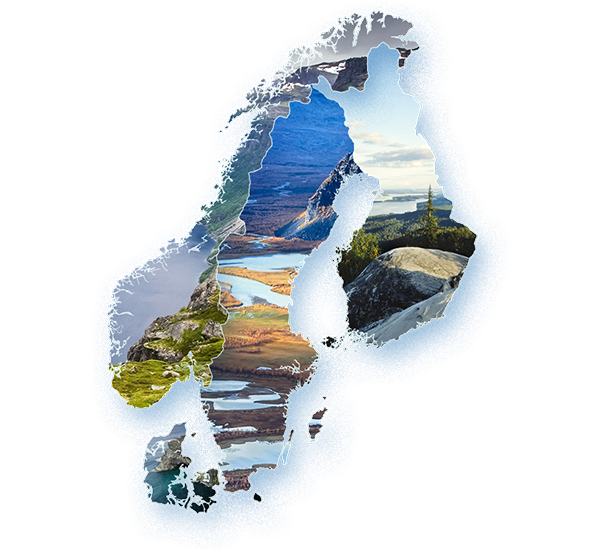 [/dzstaa_tab_content][/dzstaa_tab] [dzstaa_tab][dzstaa_tab_title]PACKAGE[/dzstaa_tab_title][dzstaa_tab_content] The Scandinavia tour package includes an accommodation in 4 stars hotels with breakfast, also 4-5 dinners, while traveling by ferry and in some Norway cities. Travel guide services throughout the trip (only in English and Spanish) and tours with local guides there is also a part of the trip. During the holidays you will not have to worry about traveling from one place to another, because the travel package includes ferry tickets, first-class buses and transportation from airport to the hotel / from hotel to airport if arrival is on the first day of the trip and departure is on the last day of the trip. Luggage service will also ensure that your items are safely transported throughout your holidays. But please note, that the Scandinavia travel package does not include flight tickets! [/dzstaa_tab_content][/dzstaa_tab] [dzstaa_tab][dzstaa_tab_title]REVIEWS[/dzstaa_tab_title][dzstaa_tab_content] Our travel agency always cares about customers safety and good impressions. We are ready to answer all your questions, hear reviews of trips or their guides and advise you on finding the best solution for your vacation planning. You can also find Scandinavian explorer review on our site or describe your experience. 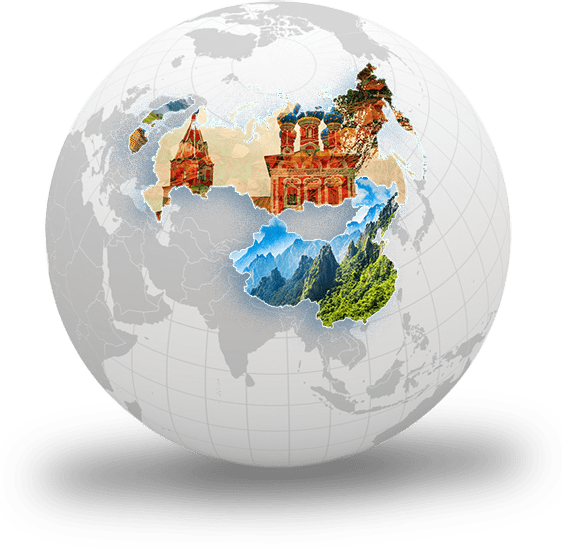 [/dzstaa_tab_content][/dzstaa_tab] [dzstaa_tab][dzstaa_tab_title]PRICE[/dzstaa_tab_title][dzstaa_tab_content] All our 2018 travel prices offered by our company can be found on the description of each tour. We remind you, that in the travel price does not include flight tickets! Scandinavian countries are known as not the cheapest place in the world, but we can advise you where to find delicious and cheap food or how to find interesting and free tours. For example, in an inexpensive restaurant in Norway, meal costs about 20 euro, also in Sweden the price is about 10 euro. Finland and Denmark have similar prices - the meal would cost about 12-15 euro. 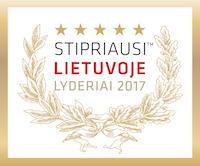 [/dzstaa_tab_content][/dzstaa_tab] [dzstaa_tab][dzstaa_tab_title]TOUR OPERATOR[/dzstaa_tab_title][dzstaa_tab_content] Baltic Tours agency has been certified as “The Strongest Leaders in Lithuania” for 5 years already. During the year our travel agency sells more than 255,000 tourism services. Since 1991 a successful tour operator Baltic Tours serves for incoming (Baltictours.com) and outbound (Baltictours.lt) customers. 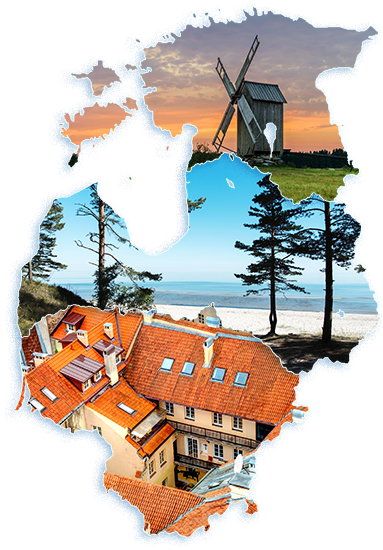 Baltic Tours company is proud of its long-standing work and experience in Europe and around the world. Our tour operator is inviting you to join and discover the best deal for your vacation and travel together to the world of unique adventures! [/dzstaa_tab_content][/dzstaa_tab] [dzstaa_tab][dzstaa_tab_title]GROUP[/dzstaa_tab_title][dzstaa_tab_content] With our travel agency you can always choose scandinavian group tours. This is quite relevant to those who want to save money or invite a group of friends on holiday together. We can offer you guides for your travels, unique routes and, of course, in places to visit you will be offered discounts for traveling with a larger group. [/dzstaa_tab_content][/dzstaa_tab] [dzstaa_tab][dzstaa_tab_title]BEST PLACES TO VISIT[/dzstaa_tab_title][dzstaa_tab_content] When you arrive in the Scandinavian countries, you must visit at least some of the best places to go in northern Europe. Here are the main places to visit in the Scandinavian countries during your holiday in 2018. 1. Troll’s tongue - this is one of the most impressive places in Norway. It is one of the Norway characters, most often depicted in the presentations of this country. Troll’s tongue is about 700 meters above the Ringedalsvatnet lake protruding cave. The journey to this spectacular location takes about 3-4 hours, while on the way you can stay in the mountain huts. 2. Nidaros Cathedral - is the largest medieval building in Scandinavia and the most important church in Norway. This Cathedral built in honor of St. Olav, a viking commander, who became king of the country. The most beautiful part of the church facade is a rose window, which consists of more than 10,000 colored details. Nidaros Cathedral is easy to reach on foot, so it is necessary to visit when traveling in Norway. 3. Norwegian Museum of Cultural History - it is one of the largest cultural museum in the whole country, with more than 150 houses, which reflect the daily lives of the Norwegians in different periods of time. In the museum you will find national clothing, antique weapons and handmade tools, toys and also you will have an opportunity to get better acquainted with culture and even learn the Norwegian folk dances. 4. Kjerag Stone - it is a huge rock that seems to be stuck between two cliffs. This stone is overhanging up to 1000 meters over ice fjord. This is one of the most popular tourist destinations, where they are trying to overcome one of the biggest challenge of life. 5. Bergen Aquarium - the place where you will see most of the inhabitants of the North Sea. The Bergen Aquarium building has even 60 aquariums, nearby is a movie theater, where you can see 3D movies about Bergen and the Norwegian coast. This is the one of the best place to visit in northern Europe, where you will not miss a lot of entertainment and you will experience an unforgettable moments. 1. Astrid Lindgren’s World - is a theme park that is created by the most famous Swedish children’s writer Astrid Lindgren according to the her created world. This is the called Swedish Disneyland, where every visitor will find a plenty of entertainment, such as performances, meetings with various characters or even children’s playgrounds. 2. Vasa Museum - this ship’s museum is the most popular place not only in Sweden but also in all Scandinavian countries - this is the famous place to visit in northern Europe. Vasa is the only ship in the world that has survived since the seventeenth century. The ship is distinguished by that more than 95 percent of its original details are saved. Some tourists visit Stockholm only for this museum. 3. Drottningholm Palace - is the best preserved castle in Sweden, which in 1981 became the residence of the Sweden royal family. In 1991 this Palace was included in the UNESCO World Heritage List. Some lucky visitors have a chance to see the royal family, but do not despair if you did not succeed because you can also take a walk in the paths of the beautiful royal park. 4. The park - High Chaparral - this is an American Western style town where you will remember the stories of 1870. All visitors are surprised that when they come in this amusement park, they feel like in a movie. In this park you will find a variety of wild west-style attributes, and you can have fun not only during the day but also in the evening. 5. Kalmar Castle - this is a castle of the Renaissance epoch. This famous place is located on the shores of the Baltic Sea near the Aland Islands. There is also an amazing botanical park next to the castle. The one of the best place to visit in northern Europe is most famous for the historic event of the Kalmar Union in 1397, when all the scandinavian countries merged. 1. Helsinki Cathedral - this place was built in 1830-1852 as a gift to the Nicholas I - the Grand Duke of Finland and the Emperor of Russia. This Cathedral is one of the main architectural objects of the Senate Square. Today it is one of the most popular places to visit in Helsinki, which fascinate the city guests with five green domes. 2. Finlandia Hall - the building made of marble gives Helsinki the Mediterranean region spirit. This is an impressive architectural building which hosts a variety of concerts, meetings and exhibitions. The amazing view of this place opens up after dark, when the building is lit by a lot of lights. 3. Suomenlinna - is an inhabited sea fortress built on six islands in Helsinki. A favorite place for tourists and locals is included in the UNESCO World Heritage List. This fort was built in the second half of the 18th century as a protection against enemies. 4. Temppeliaukio Church - this place, created in 1969, surprises its visitors with an unusual location. The church is completely covered by the earth and the dome roof is made of copper. The interior of the Temppeliaukio Church was dug and made from stone. Through the unique acoustics, this place is often used for concerts. 5. Helsinki Zoo - is one of the most north located zoo in the world and it can be reached on arrival in a wonderful island. In this zoo garden live more than 150 different animals and grow about 1000 various plants. It is interesting that all animals are classified according to the geographic areas in which they lived. 1. Frederiksborg Castle - this is probably one of the largest Renaissance castles in Scandinavian countries. It is spectacular that the castle is located on three small islands in Slotsoen Lake. Near the castle is the Frederiksborg Castle Gardens, which also attracts many visitors. The garden admire the features of Baroque style - the flawless environment, symmetry, impressively cropped bushes with fountains and sculptures. 2. The Oresund Bridge - it is a bridge, connecting two Scandinavian countries - Denmark and Sweden. The bridge is nearly eight kilometers long and is the longest in Europe, which can be driven by cars and trains. The bridge is made up of three parts - on the Denmark side begins with an underwater tunnel, which emerge on the highway in an artificial island and continues to travel on a bridge to Sweden. 3. Kronborg Castle - is one of the best preserved Renaissance architectural examples, built in 1420. This castle is most famous for the fact that Shakespeare’s “Hamlet” action has been held here, and all tourists arriving in the summer have the opportunity to watch live scenes of Hamlet - inside the castle is an open-air scene which shows performances. 4. Legoland - this is probably the place for every child’s dreams. The park has even eight different countries, 90 attractions, 7 restaurants and 16 shops and even 45 million lego pieces were used to create the Legoland. The family adventure park was founded in 1968 is still amazed by visitors and remains one of the most popular parks in Europe. 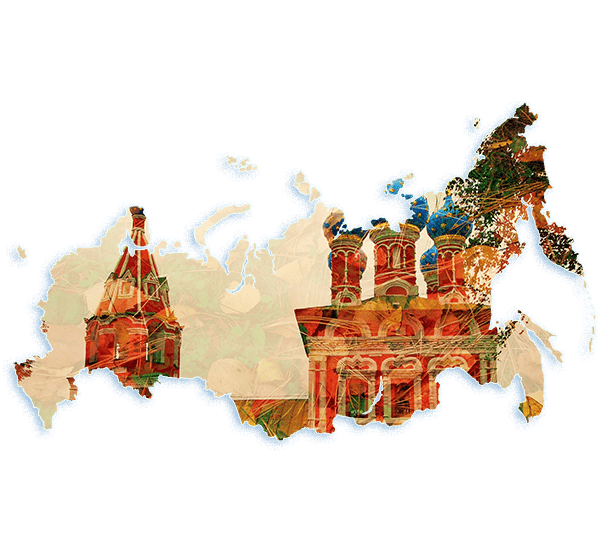 Extravagant and majestic Russia gathered an incredible history, fantastic architecture, inspiring arts and exciting places to see listen about… This is why you must think of getting on one of intriguing Russia tours and see what it really looks like! Tour Russia and find out about legends from a vast past, centuries-old traditions and great Russian spirit. All of it has to be shared with dedicated explorers! If you consider yourself as one of these – hit the road from Russia tours. Loads of Russia Tours package options, even a tailor-made tour choice is waiting for your creative soul. Tour Russia and discover it’s exclusive side: extraordinary cuisine, hospitable people, unique humour, impressive nature and daily life. Take a relaxing cruise on the Volga river, try Transiberian – iconic railway, get into a vibrant Russian party – it’s all about experience. Tour Russia and bring some unforgettable memories back home! We can clearly feel your excitement! Is it because of Belarus – country of contrasts, Poland – treasure trove of cultural riches, or maybe Ukraine - historical country? All of them? Wow, this is even more incredible! Baltic Tours has prepared a vibrant and vivid list of tours in Poland, Belarus and Ukraine. With a complex history and monumental architecture Belarus tours are telling stories about an astounding, landlocked beauty in Eastern Europe… Travel to Belarus and find country full of lakes, rivers, hills and forests - perfect place to explore. Visit Belarus at any time of the year and feel the spirit of Soviet nuance, decorated with progressive modern! Don’t worry, we didn’t forget about the Poland! Remained castles, museums, modern art galleries and concert halls, clubs and discos, along the Baltic Sea Amber Coast and across the Masuria - the Land of a Thousand Lakes. Tour of Poland will show you even more than that! Let's give you some information about astounding Ukraine! Get ready for an unexpected travel adventures and unique experiences. Prepare for extremely hospitable locals and the most mind-blowing stories possible. The Classical Ukraine tour is about to reveal the true life of the country, which is living under post-war communism. Tour Poland, travel Ukraine and visit Belarus with Baltic Tours - bring some unforgettable memories back home. Whether you’re looking for an extraordinary nomadic lifestyle experience, mouth-watering gastronomy paradise or great authentic Temples, Asian tours will always be there for you! You will have the chance to see astounding Mongolia and grand dynamic China, just pick the right Asia tour. There is no doubt Asia holidays are both for nature lovers and urban life explorers. Travel Asia and find out about culture, traditions, religion, food, art and history. Baltic Tours has prepared extremely entertaining Asia tour programs for every type of travellers. If you consider yourself as an exceptional type of explorer, no worries, Baltic Tours offer tailor-made tours – a significant opportunity to pick a perfectly designed travel package exclusively according to your needs. Interested? 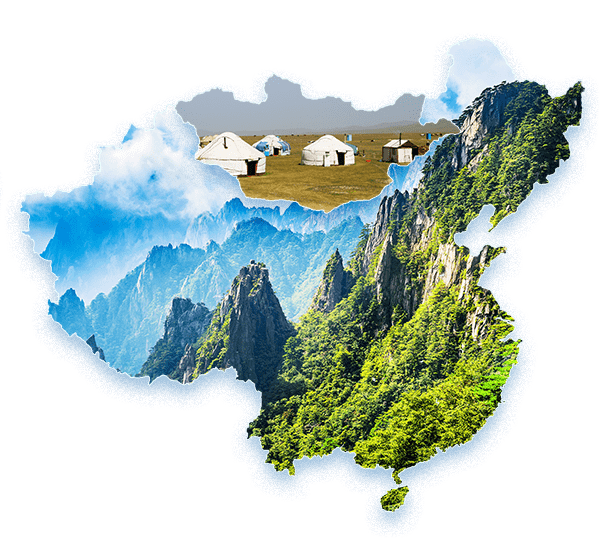 Visit all the compelling places in China, get acquainted with nomadic culture in Mongolia… Asian tours are about to surprise you… Get ready for captivating journey with always intriguing Asia tours! It's obvious that Russia has a lot to offer and that's easily understandable looking at its size! But what are the best places to visit? From the price of travel visa to prices of tours - this article reviews how much does a trip to Russia cost. Russia - the largest country in the world, almost two times bigger than the USA or China. But when is a good time to visit famous places?